In an age of litigation, privacy breaches and identity theft, the residential real estate world is no longer the friendly place it once was. In fact, as of two years ago when new Federal regulations went into effect, buyers and sellers are not even allowed to be at the closing table together to exchange keys and a smile. That is why this story is so remarkable. Marty and Pearl lived in Tree Tops, a hidden 6-home community in Pinecrest just south of Kendall Drive. Non-remarkable, except that they were the designers of the community and moved in to their dream house in 1980, a mere 38 years ago! 91-year old Marty had finally been convinced by his kids to move to a place with less maintenance requirements. The treehouse-like home had 24’ soaring ceilings and more than its share of stairs. Suffice it to say, Marty and Pearl were attached to their home and really nervous about making a move. Shortly after putting their home on the market with me, Marty took the initiative to place his own ad in the Pinecrest Tribune to sell his house “with” me. The title of his ad was ‘Once in a Lifetime’. It was this ad and Marty’s persistent, bubbly personality that let me know this was not going to be your typical real estate transaction. Happiness attracts happiness. And sure enough, that is exactly what happened here. Jack and Tomasa walked in for a showing one day and I immediately got the feeling this was a match made in heaven. I soon learned that Jack and Tomasa not only liked the home but knew one of the other homeowners in the community. A purchase contract was signed after a short negotiation period and then the old-school aspects of this sale started to reveal themselves. Marty and Pearl organized a meet-and-greet with the other community residents and Jack and Tomasa invited Marty & Pearl to a few lunches here and there. They negotiated some furniture items to stay. The buyers allowed the sellers to take some built-ins and appliances that they would be throwing out anyway. In short, they were being friendly humans toward each other, instead of paranoid strangers. Although they still couldn’t be at closing together, they did something much more important. They became friends. I was proud to be a supportive part in this old-school lesson to all us “younger folk.” Too often, we wake to be defensive and protective instead of welcoming. 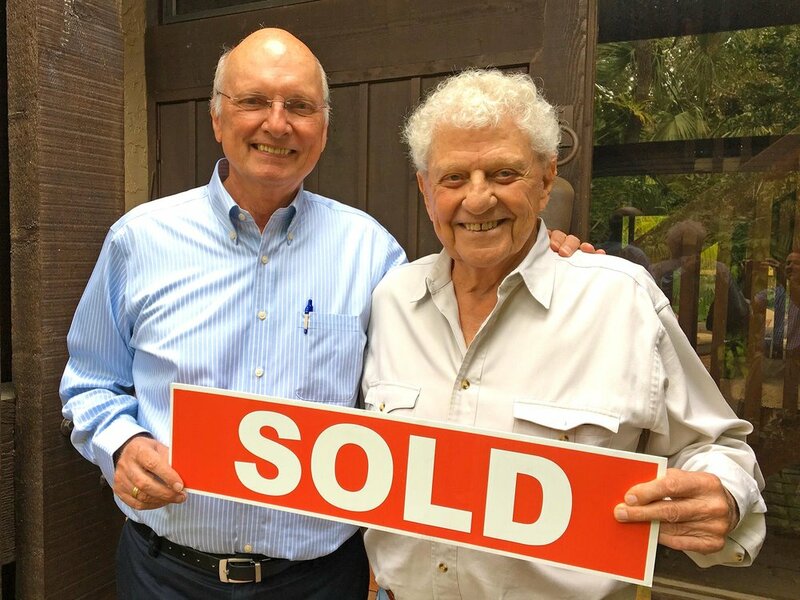 These senior buyers and sellers got it right. Real estate can be pleasant, friendly and productive. Here’s to more ‘Once in a Lifetime’ real estate deals for all of us!